Premium Quality 85mm x 55mm Business Cards. 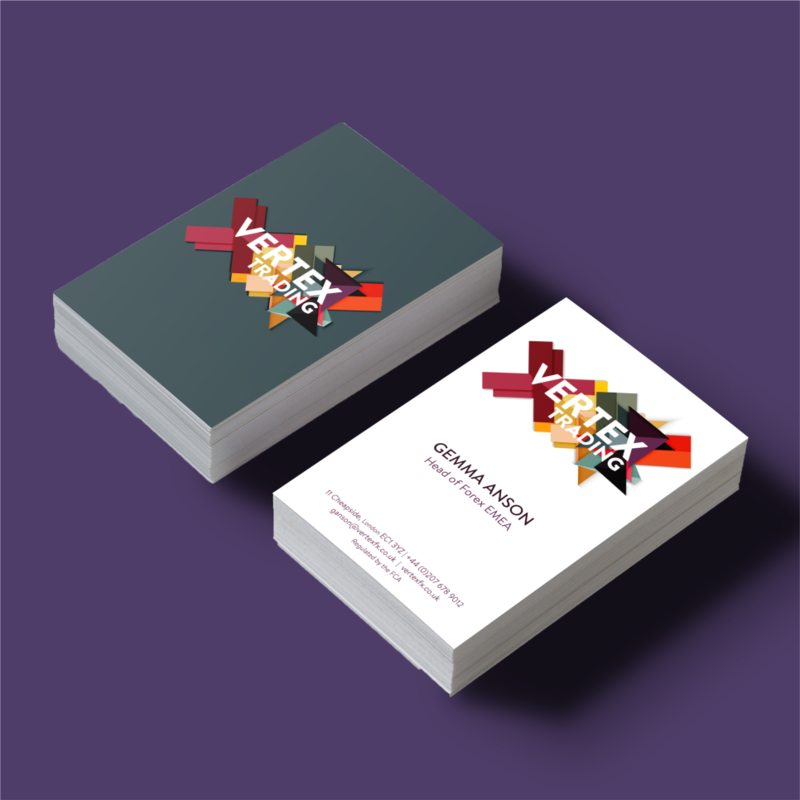 Make a great first impression with our high quality, full colour business cards! Whether you are a limited company or running your own sole trader business, we can print custom high quality business cards to help you promote your business in style. Our business cards are digitally printed in full CMYK colour, onto a premium white 350gsm uncoated card(thicker card + larger quantities are also available on request). They are the standard size of 85mm x 55mm and they are available either single sided (white on reverse) or double sided with a different print on each side. For your business cards you can choose to have either a shiny gloss laminate finish, great for enhancing the colours used in the print, or a smooth matt laminate finish, making your cards feel just as good as they look. Quick turnaround, excellent quality + all prices include laminating!